Lately we’ve been feeling like Winter is Coming. If you’re a Game of Thrones fan you know the meaning behind this. “Winter is Coming” is a motto in the show that means take warning and stay on your toes because something bad is on the horizon. It’s also kind of literal because our memories of last winter are less than pleasant. December 20th marked Paige’s MRI. December 30th was our first neurology appointment where we learned the severity of Paige’s brain malformation. January and February’s memories consist of the start of Infantile Spasms and a month long course of ACTHar steroid injections. Health-wise, Paige has had a pretty good rest of the year year. 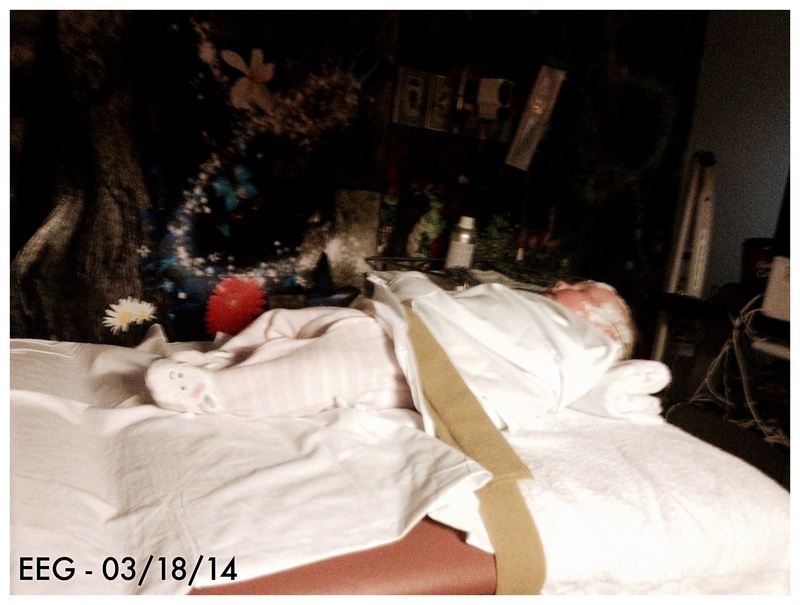 Her Infantile Spasms were controlled by the ACTHar and she has made quite a bit of progress developmentally that we were told probably weren’t possible. We’re thankful for that and it’s been an amazing year of watching her and our son Will grow. Going back to this year, it’s been.. well, it’s been a long year. It’s been a year of the unknown. It’s been a journey of grief, acceptance, love, and adjustment. We’ve grown as a family in ways I never imagined and got our feet wet in a life-long road of a different kind of love. We’ve been overwhelmed with kindness from the people in our lives, we’ve felt lonely, we’ve gotten angry, we’ve struggled, we’ve made memories, met a bunch of INCREDIBLE families, and we’ve learned to be happy again. Constant learning and adjusting is the name of the game from here on out. Andrew and I find ourselves reflecting on this past year. There have been so many positives and great memories but as the air gets colder, we find ourselves thrust back into the rawness and realness of last year around this time. In a way, I think it’s important to reflect on the bad and appreciate the good but it’s still painful. Still, we’re determined to have a great holiday season and focus on the great holiday memories. I’m planning on writing about the full 24 hour EEG tomorrow and other family updates tomorrow, but for now, here’s some pictures! 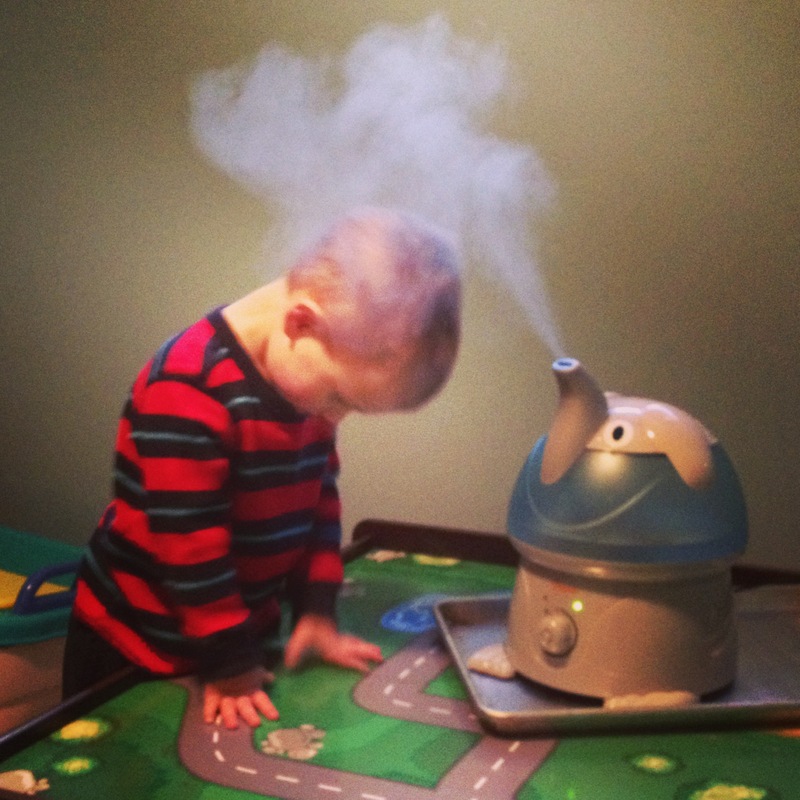 Coughing, Boogers, EEG’s, Oh My! The past couple weeks have been spent with two little kids kicking a cold. It was a lot of coughing, sneezing, boogers, rashes, fevers, baby Tylenol, and more boogers. Hopefully, we’re at the tail end of this nasty bug and it could be a little less gross around here and a lot less stressful. With Will, a cold is no big deal. He’s easy and thankfully so. Generally, a few doses of acetaminophen, juice, and The Wiggles equals a cure for the kid cold. When Paige gets sick, that’s a different story. Luckily, she really hasn’t had an illness since she’s been born. She might have had a sniffle when she was a newborn but I don’t really count that. Unfortunately, she also caught whatever was going around and I’d be lying if I said that we weren’t worried about it. 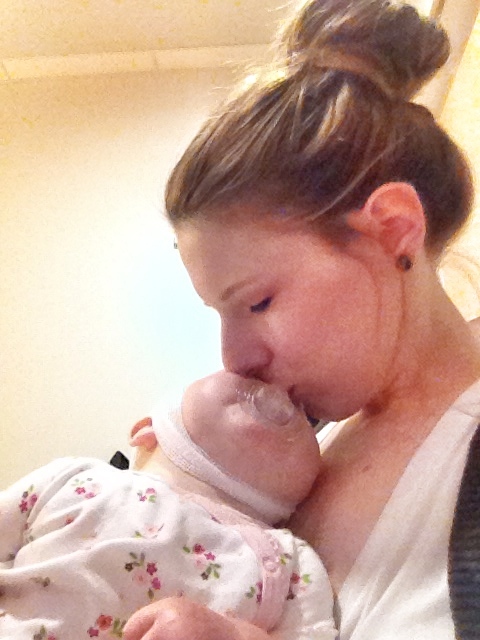 A huge concern for Liss babies is respiratory infections, aspiration, and choking. If Paige has even the slightest rattling in her lungs we were advised to take her straight to the hospital. To add to the list of frets, a fever can also bring on seizures which we are trying to avoid for as long as possible. Well, she did get the stuffy nose which led to choking, a cough that led to throwing up, and a lot of sleepless nights, and the dreaded fever. So, instead of juice and a DVD we camped out on the couch with a humidifier, baby Tylenol and Motrin, an inclined bassinet, saline, nasal aspirator, a cup for chest PT, and a few doctor visits to check her lungs (which were CLEAR, by the way!! ). As of today, I think we are seeing a light at the end of the tunnel and we’re looking forward to a healthier household. As I previously said, I wasn’t sure about seizure activity because of her fevers and wonky behavior from being sick. To be completely honest, Andrew and I didn’t have a great feeling about this follow-up. I spoke before about possibly putting Paige on a preventative seizure med and we kind of thought that our decision probably would be made for us after her illness. Let me just say, I hate EEG’s. The process isn’t actually that long, but it’s a process, nonetheless, and I find it to be pretty tedious. For children under a year old, you are supposed to keep them up a few hours later than their bed time and wake them up (and keep them up) a little earlier than usual. Considering Paige doesn’t have a real bed time or wake up, time this really doesn’t bother me. It’s mostly just the applying of the buttons to her head. First, they swaddle the baby and strap her on the bed. Then, the technician (I don’t know the proper name) measures and marks her head to help show where the buttons will be placed. The buttons are secured, one by one, with gauze dipped in a solution and then applied all around her head and one on her chest. An air brush tool is used to dry the solution to make sure they stay in place and don’t move at all. Once they are dried, a conducting lotion is injected into the buttons and the EEG is set to start. This process didn’t hurt Paige and it only took maaayyybe a half an hour but it was uncomfortable and she wailed almost the whole time. Once the EEG starts the technician does a series of tests to see how Paige’s brain reacts to them. The first test was simple and easy. He placed his thumbs over Paige’s eyes and held them shut for ten seconds for a total of 4 times. The second test was the dreaded light test. I’m actually getting used to it but I still hate it. A bright light is placed about 4 inches from her face and it flashes for about ten seconds at a time. This is repeated about 10 times with a goal to induce a seizure. And finally, after all of the tests, the babies are encouraged to sleep! The whole reason why we had to keep her up. Sleep is encouraged because there are very distinct brain patterns for the different stages of sleep and actually gets the best reading of seizure activity. Luckily, Paige zonked right out and slept for most of the hour. 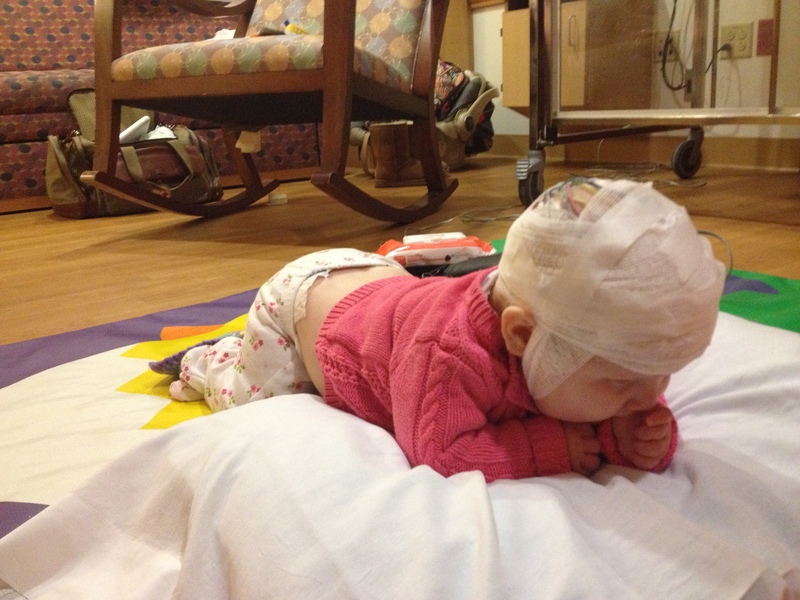 We had an appointment directly after her EEG with the Neurologist and Epileptologist to find out her results. I have to say, I’m very pleased with the team of doctors in Pittsburgh! So far, they have been extremely respectful of my decisions, answered all of my questions without being condescending, and have been very playful with Paige, which I really appreciate. 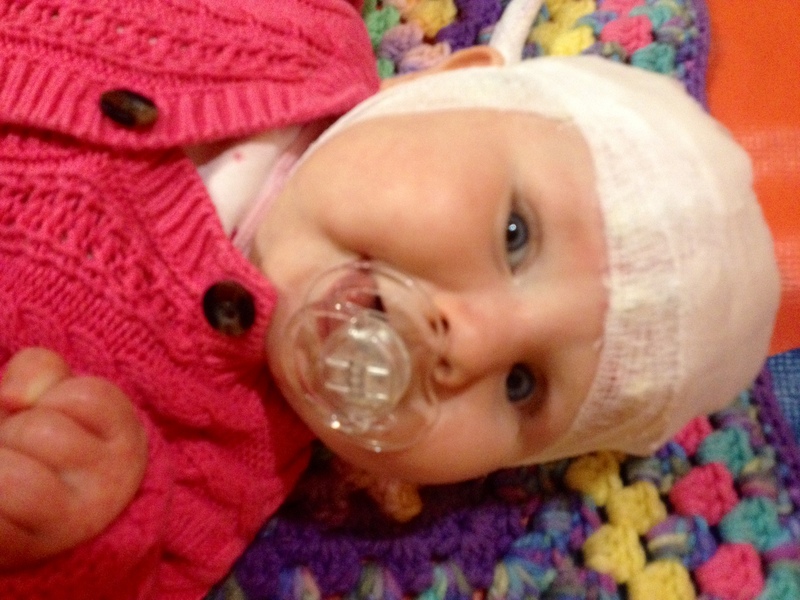 After her quick checkup, I was told that Paige’s EEG looks really good and still advise to hold off on medication. I’m afraid of seizures. I am! I honestly don’t know how I’m going to react when they happen. What are we going to do when they happen?! Well, the answer to this is, we’ll just deal with it. They won’t be as scary as I envision in my head. The doctor did something that was probably out of the norm but helped me a lot. He acted out the different types of seizures to look out for. Even though he seemed a little embarrassed, he eased my mind more than he could ever know. Some were just dropping of the head. Some were stiff arms and twitches. Others included a limp side of the face with drool. He informed me that she would make them known and I could call him at any time with questions. Since Paige is obviously happy and playful, he assured me that this was a good sign she was not having any seizures. But can’t I just put her on meds to prevent them?! The answer is, I can do whatever I feel comfortable with, however, they still advise against it. I had every intention of leaving that appointment with a prescription but feel a lot more comfortable with their reasoning. The reason is because she’s not having them, they won’t really know what they’re treating. There’s many different types of seizures and different cocktails that could be made specifically for what is going on. Seizure medication also has side effects and they aren’t always pleasant. The early years are extremely pivotal for development and the longer we can go without them, the better. Since she is making strides in her development and there is a 100% chance of seizures happening in her future, we’re basically just biding as much time as possible. Andrew and I have made the decision that if we had the choice of quality of life and quantity, we’d choose quality first – and I feel like this is what we’re doing. 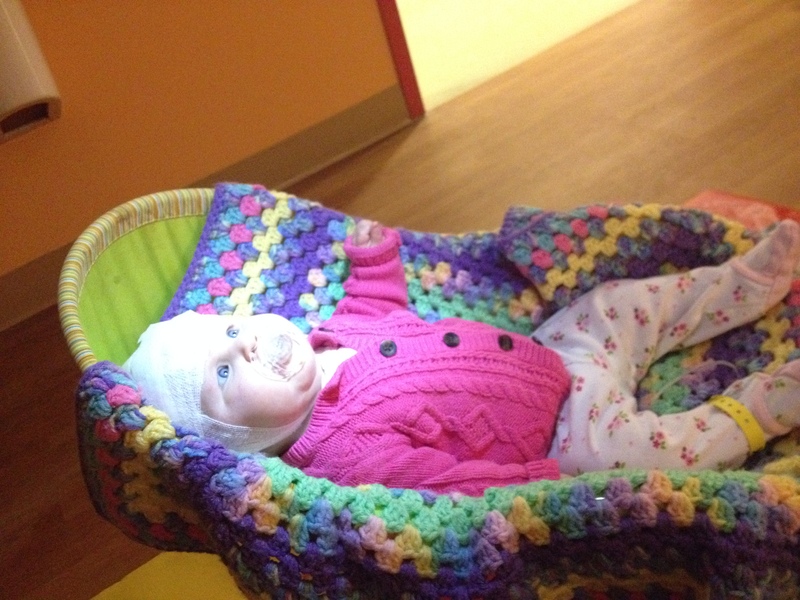 As far as what to do with her, we are to continue with therapies and keep her healthy. This past week has been trying, but we made it through. And now, I need a drink! We are scheduled to have two appointments on Tuesday afternoon. One will be with a renowned expert in Lissencephaly and the other will be with a geneticist. The first doctor will thoroughly go over Paige’s brain scan with us and basically just give us more information and resources. The geneticist will talk with us about the possible whys and hows of Liss. From what we understand, there are several reasons how Liss can occur. 1. Both Andrew and I are carriers for a particular gene that would cause the brain anomaly. If this is the case, there would be a 1/4 chance of this happening again with any other biological children. This is the case I’m fearing the most, as we both come from large families and planned on having a big family ourselves. A 25% chance might be too big of a chance for future family planning and it would absolutely devastate me if this is the case. 2. Another reason could be due to an infection, particularly Cytomegalovirus (CMV), that I could have contracted around the 12th – 17th week in pregnancy. When we met with our neurologist in Pittsburgh, she said that she didn’t see any indication of infection in Paige’s MRI report but couldn’t completely rule that out for sure. I had terrible morning sickness throughout my first trimester and half of my second so it could’ve very well had a virus but I’m not going to speculate that until we know for sure. This would be more of a medical reason and not-so-much a genetic reason so the odds of it happening again are slim. 3. A random deletion of a gene. Basically, a genetic freak accident. A fluke. There is no real science behind it and it’s just something that happened. If this is the case, there is less than a 1% chance of happening again It sounds like it’s the best case scenario but when you consider the odds of having a child with Liss is already slim (1 in every 100,000 babies) it doesn’t really say much. We are still waiting the results of Paige’s blood work to know the cause for sure but it still might be another month or two. We leave not-so-bright but VERY early in the morning tomorrow and hopefully get some exploring done. Big thanks to Andrew’s family for all of their help with everything – especially watching WIll, my sister for sticking around with him tomorrow morning so the transition will go smoothly (she was in town for The Avett Brothers concert – SO fun! ), my family for being backup caretakers and being there for support, and my local friends for offering their homes as backup backups if we need anything! I’ll update when we return! As my last post explained, Paige is finishing a month long course of a high-dose injection steroid to control her infantile spasms. According to her Epileptologist, the medicine should work in the first two weeks and the last two weeks are for weaning. 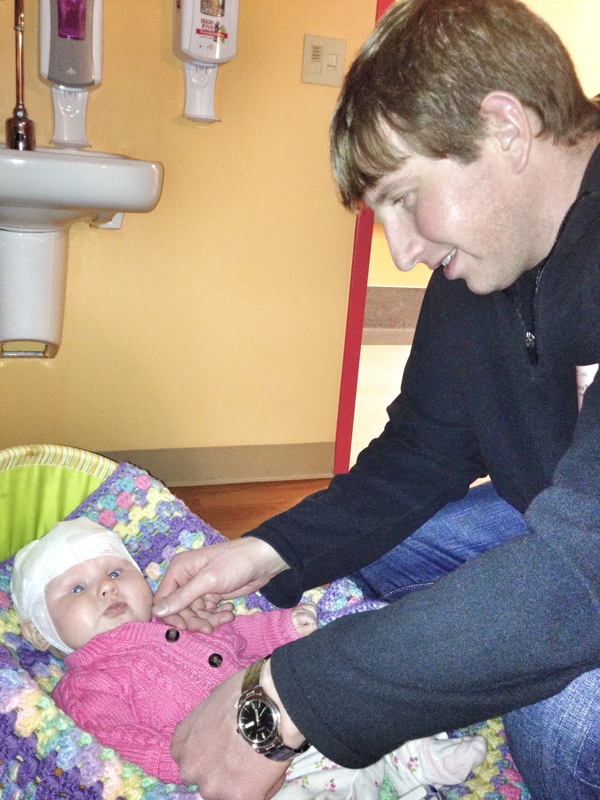 We just finished up week three of the steroid and just had a 24 hour EEG to see it worked and we have the results…. After over a month of bad news and setbacks, we finally got a shred of hope! The EEG report showed that the ACTH (steroid) did stop the spasms and they should *fingers crossed* be at bay for a while. How long they will be under control is still a question – it could be 10 months or it could be 10 years. We don’t really know. But, at this very moment she is not having seizures and we are celebrating. Paige was pretty out of it for a while and it was hard to watch. She gained about four pounds and got really swollen. Our normally smiley and cuddly baby was very irritable and uncomfortable and it broke my heart. Within the last few days her smile has come back and she is getting back to her normal schedule and routine. We are elated! We know that Paige will be prone to many seizure disorders in her life due to her Lissencephaly but, as we said, we have to take the good with the bad and these past few days have been good. Her EEG’s will never be normal but her doctor said that Paige’s was the most normal looking one she’s ever seen for a kid with Liss. She also predicted that Paige might have a burst in development soon and, even though I’ve always believed that she will, it makes me more hopeful. We’d like to thank everyone for their prayers and I thank God every day for taking care of her. And how about a shout out to science and medicine, too?! I’m always amazed at medical professionals and we thank them for taking such good care of us, especially Miss Paige. We’re back at it! Back at Children’s Hospital, that is. To make sense of all of the reasons and terminology, I’m going to have to backtrack about a month to explain why we are here. It’s about a month’s worth of info so sorry if it’s long. 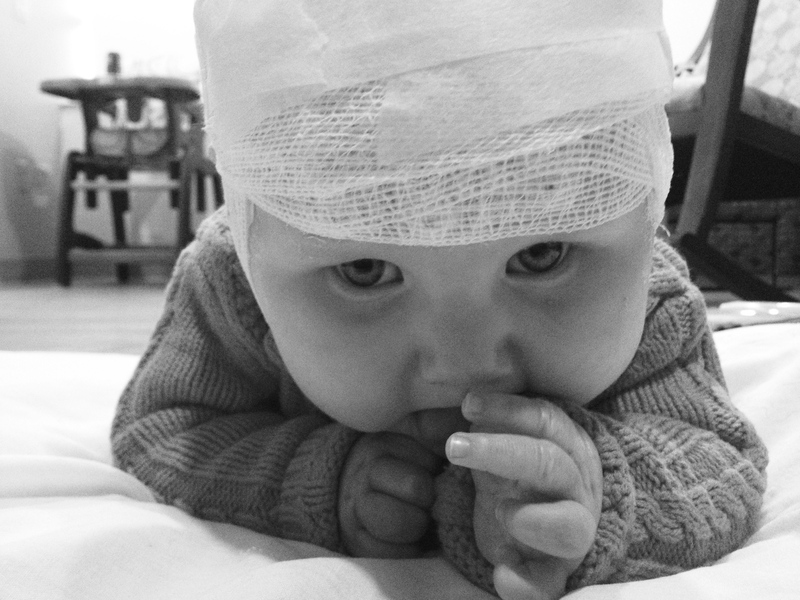 A month ago, when we found Paige’s diagnosis, we were told that Paige needed an Electroencephalography (EEG), to take a look at her brain activity, as soon as possible. The doctor said that we should expect it to be abnormal because patients with Liss are abnormal to begin with. Luckily, they had an opening and they would be able to do it in about an hour. I remember thinking to myself, “It’s starting…”. The appointments, the testing, treatment plans, therapies, medications, everything. Everything was happening fast. Mind you, this was directly after we got news of how severe Paige’s diagnosis was and we barely had time to control our emotions and still trying to processing the news. Thankfully, Meredith is a fourth year medical student and was there to explain procedures to us because were not prepared for any of this. An hour later, twenty-four electrodes were placed on Paige’s scalp using glue and blow-dried in place. Even though we knew she wasn’t hurt, it still was incredibly hard to watch her scream as the tech was putting them in place. It was noisy, sticky, and uncomfortable but the process didn’t seem too terribly long. When the lights dimmed, I stood next to Paige to keep her as still as I could. The next half hour was pretty quiet until the tech placed a bright light about a foot away from Paige’s face. The light blinked, Paige blinked, Andrew and I were like WHAT THE (INSERT ADULT LANGUAGE)?! Meredith informed us that he was trying to induce a seizure and, as you can imagine, more explicits were used. The blinking lights were only a few minutes but they felt like it took forrr-eeev-errr. It was a lot for us to handle. Andrew had to leave the room and I had to look away. As far as we could tell, she wasn’t having one so we were able to talk ourselves down. Finally, the lights turned off and I think we all were able to breathe a little more. When the procedure was finished and Paige was cleaned up, we couldn’t get out of there fast enough. Turns out, her brain activity was abnormal and since they couldn’t get a lot of information in an one hour, a longer 24 hour EEG was ordered. To make a long story (just a little bit) shorter, we checked into Children’s at 8am, went through the same drill as previously stated, and were on our way home at 6am the next day. So, back to the hospital we went and discussed treatment options. We decided to go with an injection steroid called ACTH because it had the highest success rate, least amount of side effects, and the shortest course. I don’t mind having to give injections and Paige was tolerating them really well. The only downside was that the medicine had to be shipped to my house, on ice, and they wouldn’t let us leave the hospital until they got confirmation it had arrived. With it being ordered on Friday, that meant we had to spend the weekend there so treatment wouldn’t be disrupted. The good news is that I got very comfortable with the injections and I actually felt more comfortable with the extra days of monitoring. It’s been a little over 3 weeks since that hospital stay and we’re in the weaning process now. To start, it was two weeks of a high dosage of the steroid twice a day. This past week it was a lower dosage only in the morning and next week we stay at the same dosage but every other day. Wires don’t stop Paige from tummy time! The blinking strobe lights. Not as scary this time! Wish us luck and cross your fingers for good news tomorrow! !